Whether you choose the satin black smoke or whiskey sunset finish, they are offset with grained ivoroid binding and a pickguard which show off the understated beauty of this Martin 000-17E Grand Auditorium guitar. 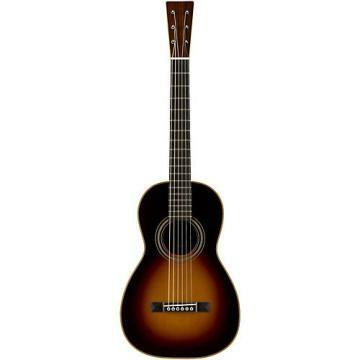 It is crafted with a solid Sitka spruce top and mahogany back and sides for a comforting, warm tone. The rosewood fingerboard and bridge pop against the rich, black satin finish. The comfortable body size and modified low oval neck with a Performing Artist taper make this guitar easy to play. This model comes equipped with Matrix VT Enhance acoustic amplification by Fishman. Order this smokin' hot guitar acoustic-electric today!